Jake Gyllenhaal makes his grand debut in the MCU. It’s been a wild couple of weeks for Marvel, with Captain Marvel’s new trailer making waves and the impacts of the Avengers: Endgame trailer still undulating through 2019. However some way or another the MCU discovered space for more — regardless of Thanos snapping him out of presence, youthful Peter Parker endured for a spin-off of Spider-Man: Homecoming. The first trailer for Spider-Man: Far From Home is here, and brandishing a hazardous Jake Gyllenhaal. Away From Home happens after the occasions of the fourth Avengers film, which implies that whoever else may die in the last standoff with Thanos, Spider-Man’s dark destiny has been turned. As the name suggests, the film pursues Peter Parker (Tom Holland) and his companions as they take a late spring excursion crosswise over Europe. 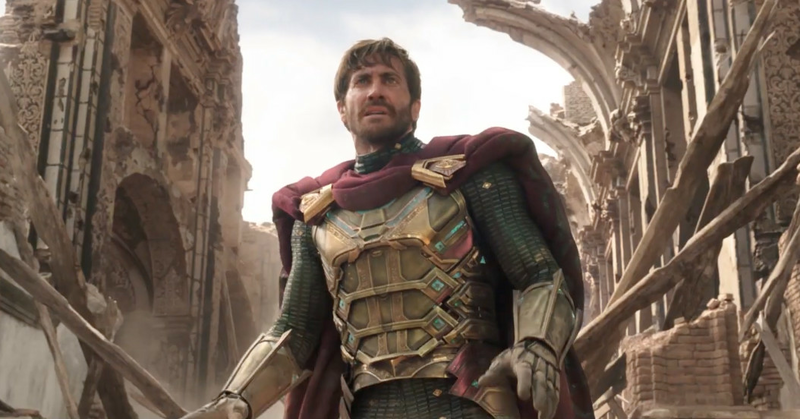 The baffling Mysterio, played by Gyllenhaal, ruins the Eurotrip. In any case, hello! In the wake of enduring Thanos, everything ought to be a breeze — isn’t that so? Coming back to fill the cast are Zendaya a role as MJ, Michael Keaton as Adrian Toomes, Marisa Tomei as Aunt May and Jon Favreau as Harold “Cheerful” Hogan. Nick Fury (Samuel L. Jackson) and Maria Hill (Cobie Smulders) will likewise show up in the film. The official publication bets everything on the “a long way from home” topic, demonstrating a Spider-Man veil put with movement stickers. Spider-Man: Far From Home turns out on July 5, 2019.